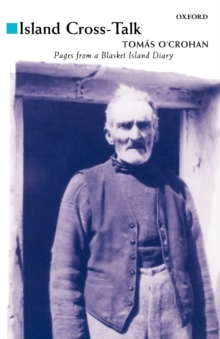 This superb account of life on the Great Blasket Island off the west coast of Kerry, written as the nineteenth century draws to its close and the dawn of a new era trespasses on the lives of its small community, is both a shocking and captivating read. 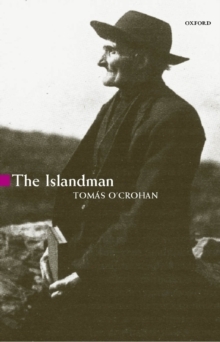 Here is the first complete translation of Tomas O'Crohan's autobiography An tOileanach, first published in 1929. This edition is based on Professor Sean O Coileain's definitive 2002 Irish language edition. It contains many passages omitted from the previous English language translation by Robin Flower from the 1930s, some of which were thought too earthy for the times. 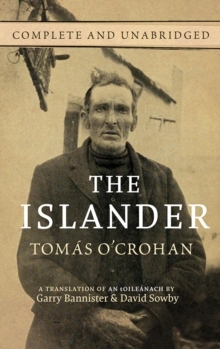 Tomas O'Crohan, a fisherman who, at around the age of forty, has taught himself to read and write in his own native tongue, depicts in unaffected, vivid language a very unforgiving landscape of human experience. The Islander reflects life as it was on the Blaskets, raw, real and extremely challenging.